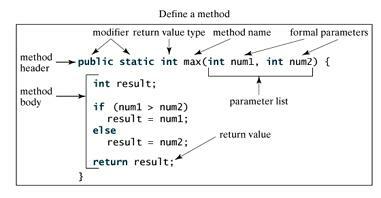 A Java method is a collection of statements that are grouped together to perform an operation. When you call the System.out.println method, for example, the system actually executes several statements in order to display a message on the console. // A method inside the box class with no parameters. // A method inside the box class with parameters.